TRE-TRE is a path entirely dedicated to the lovers of ski touring and snowshoeing, which allows you to go up in altitude in the tranquility of the forest. The path was created in the footsteps of the historic track Tre- Tre inaugurated by Rolly Marchi and on which he competed and won Zeno Colò. The track starts from Santel Fai m1.038 and comes to Selletta m 1.985. The path has NOT an artifical snow maker. Please check snow bulletins every day and use the suitable equipment for self-rescue. Lower part without snow. Tre Tre track is covered by snow starting from about 1.300m above the sea level. Starting from Santel Parking in Fai della Paganella, on LA ROCCA slope (A) and on a part of DOSSO LARICI slope (C), up to Dosso Larici hut, is allowed to ski mountaineering only on MONDAY and THURSDAY evenings, from when the lifts are closing until 9pm. Is not allowed to switch to other slopes. From Andalo, first on CACCIATORI 1 (L) slope (500m), then turning on OLIMPIONICA I (I) slope up to Dosson hut, is allowed to ski mountaineering only on TUESDAY and FRIDAY evenings from 7.30pm to 10.30pm (during night skiing). 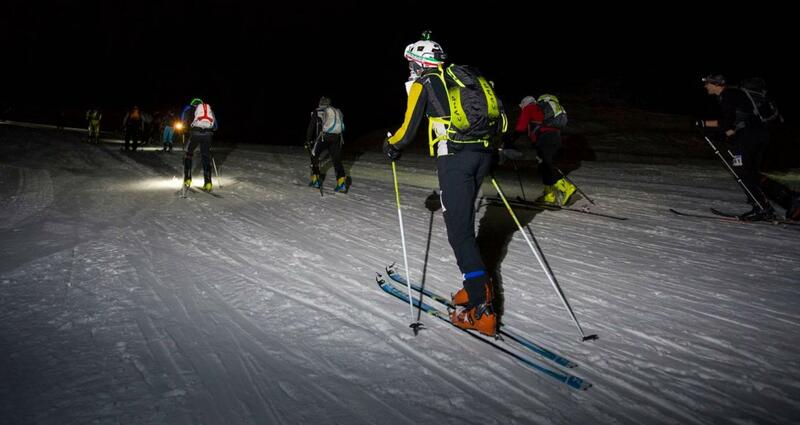 In every night-ski mountaineering, skiers must use frontal light and use the right side of the slope.